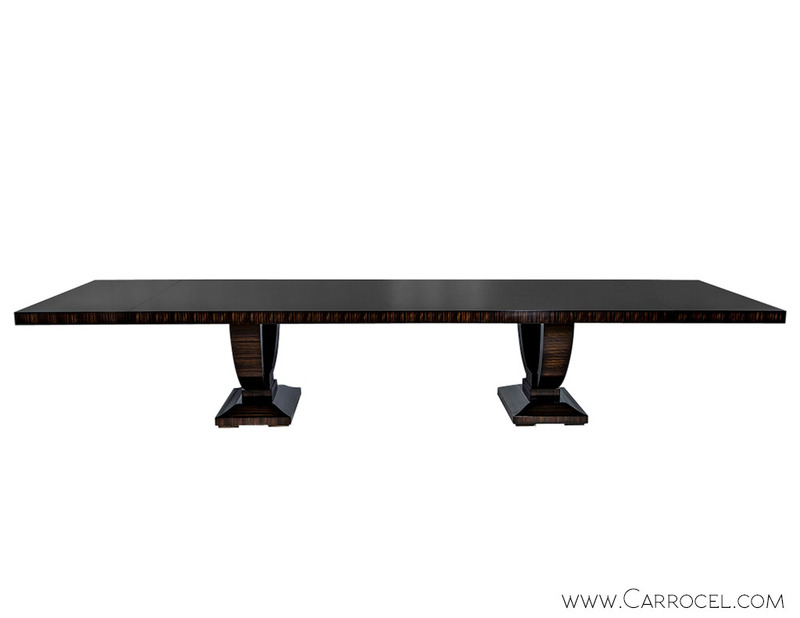 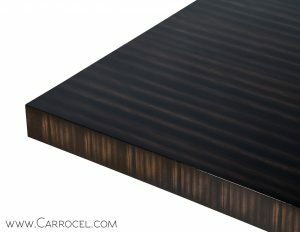 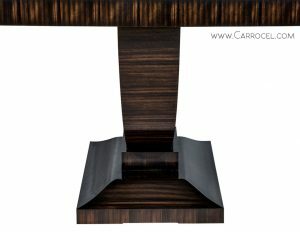 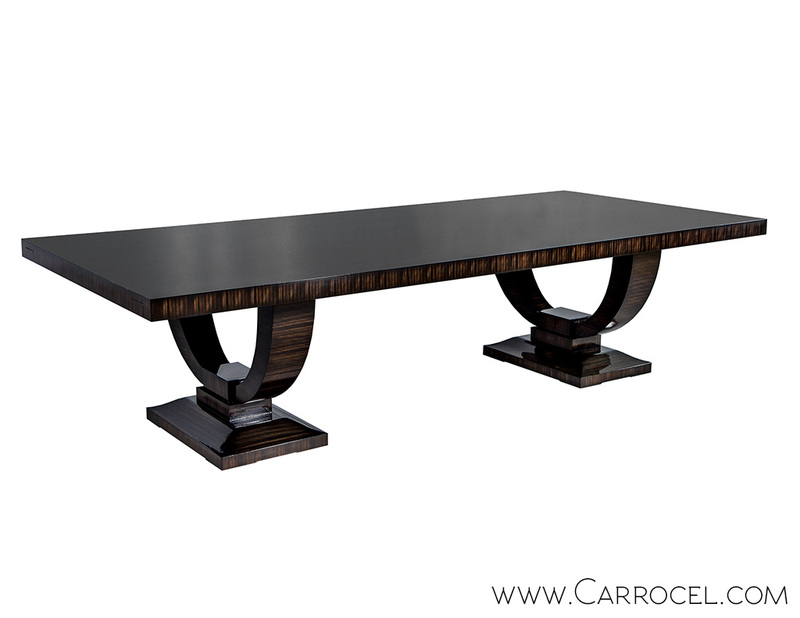 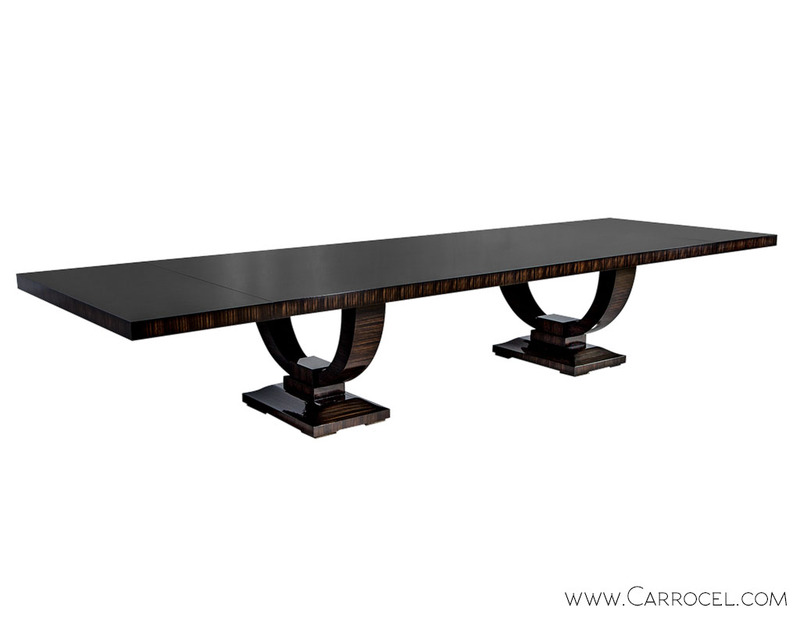 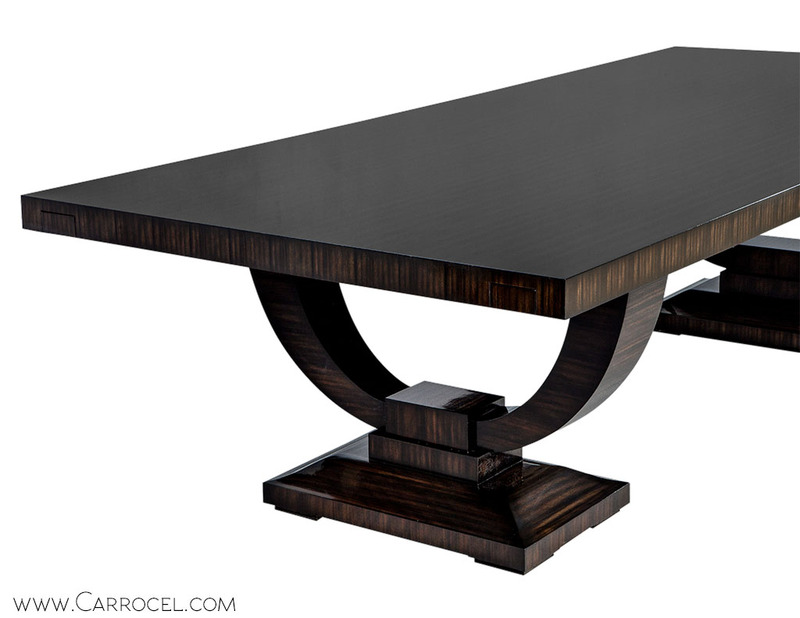 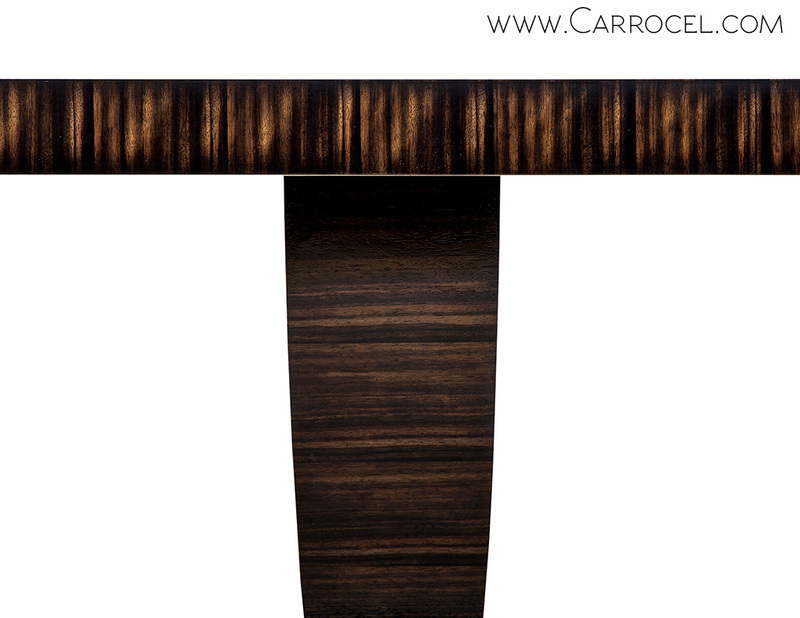 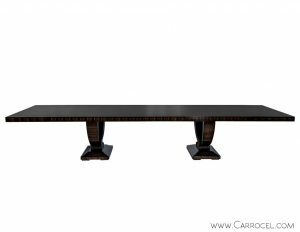 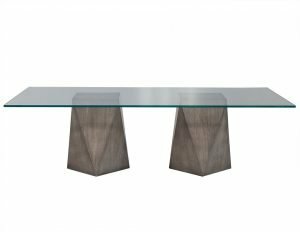 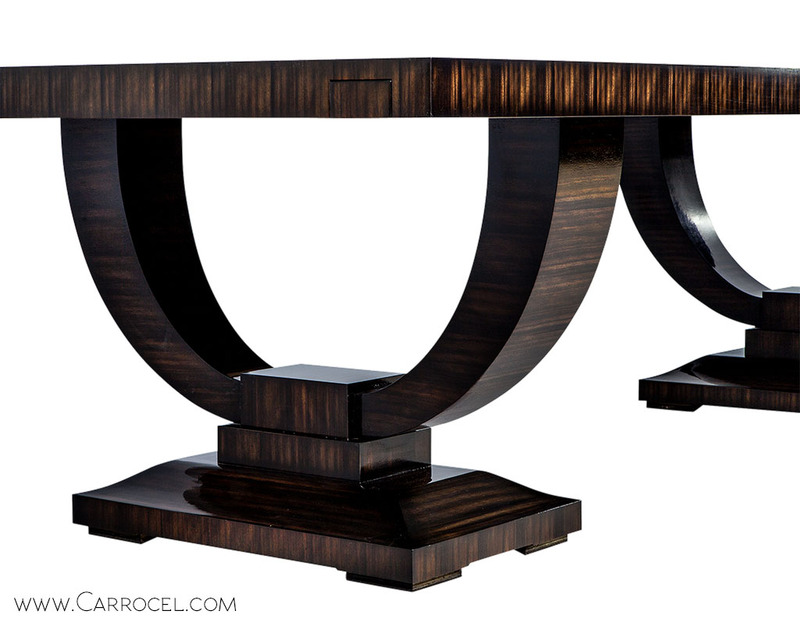 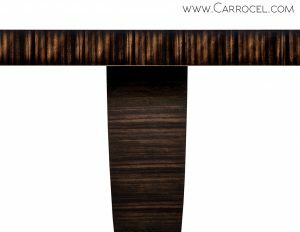 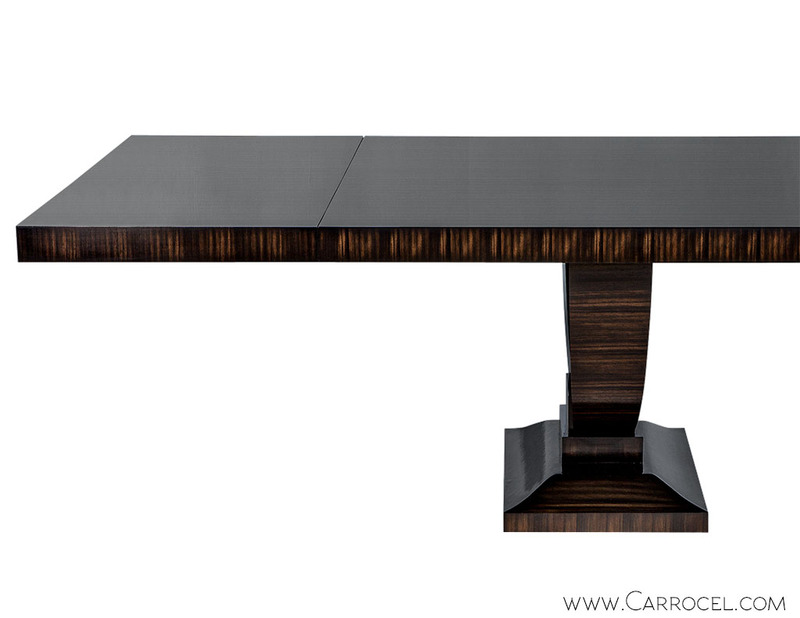 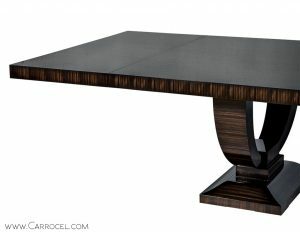 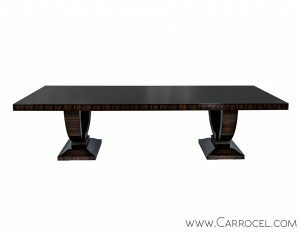 Stunning Carrocel Custom Collection dining table in exotic macassar ebony veneer features a solid one-piece top that can be expanded with extension leaves on both ends. 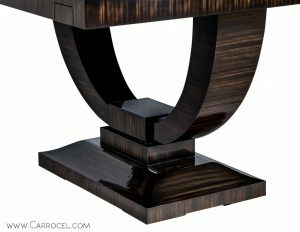 This top is resting on double U pedestal each with sloped block-layered plinth bases. 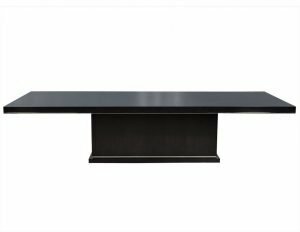 Made in house, this table can be customized any way you like; alter the dimensions, pedestals, finish colour and gloss to have the perfect dining partner. 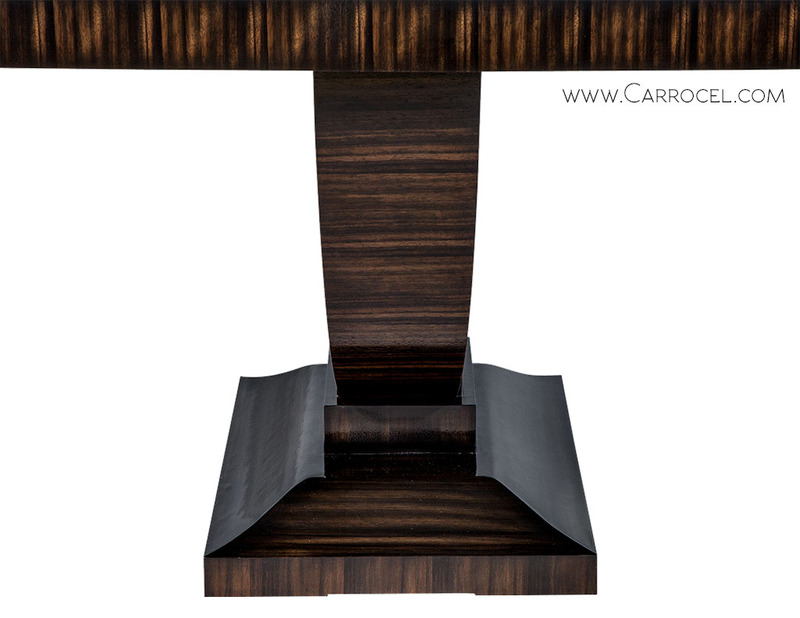 Extends to 14 feet (168″).